What can Claude Lévi-Strauss teach us about food fads today? What are we talking about when we talk about food? It’s almost easier to describe what food isn’t. Eggplant and potatoes become food if you cook them long enough to soften their tough fibers; if you did the same thing to paper, you could swallow it but not sell it as the hot new restaurant trend of 2013. Jell-O wobbles onto the dessert plate by way of proteins boiled out of animal bones, cooled, then boiled again at home; few other foodstuffs would still be considered comestible if subjected to the same treatment. Even plants and animals whose tissues are digestible, palatable, and nourishing might be overlooked as foodstuff if we are not taught to eat them: There were certainly many years that I threw away the leaves and stems of beets and carrots, not realizing that they too can be edible and tasty. 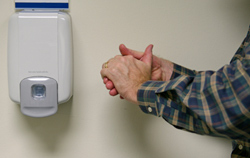 We make decisions every day about what to eat, and rarely do we choose our meals by empirical measures of biocompatibility or organic composition. 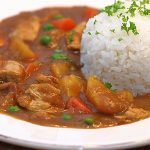 The determination of what may be considered food — let alone what makes food ready to eat — is largely a cultural distinction. So Claude Lévi-Strauss noted when he observed and recorded the eating habits of tribal societies of North and South America in the mid-20th century. Though he saw that most cultures categorized foodstuff into three phases — raw, cooked, and rotten — he also observed that those categories were subject to interpretation, and that there was no reason any two communities would come to the same terms. 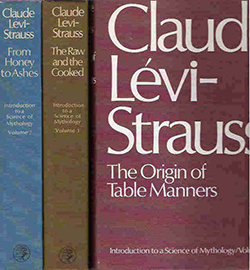 In The Origin of Table Manners, third volume of his wide-ranging Mythologiques, Lévi-Strauss illustrates the fluidity of these terms with examples from his native France: Italian restaurants, he claims, widened French receptivity to eating raw vegetables without an acidic vinegar dressing; for a more dramatic example, American soldiers landing in Normandy during WW2 occasionally burned down cheese dairies, mistaking the smell of ripe cheese for that of corpses. Lévi-Strauss placed the three phases of food at the points of a triangle to emphasize both the opposition between different stages and the degrees between them. 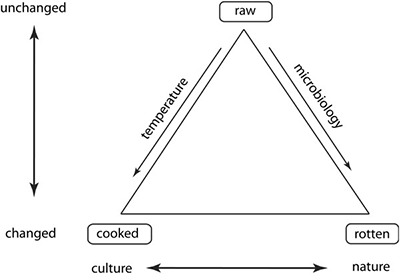 If you look at the diagram from the point of view of raw food, you might see the other two points as the outcomes of two different transformations: Cooked food is the product of cultural processes, such as the application of heat or tools; rotten food is the product of natural processes, time and decomposition. Truly raw food, for Lévi-Strauss, is unmarked by human intervention or decay; even the uncooked foods we eat have been washed, peeled, sliced, and prepared for human consumption. But though a chopped salad and a roast chicken might both appear on the dinner table, they occupy fundamentally different places in our cultural imagination. Alternatively, if you tip the triangle onto its side to position “cooked” at the top of the pyramid, then the other two points indicate food that falls outside the category of edibility — what we might decide not to eat because it is underprepared or tainted. This visual tool permits a more nuanced framework for cultural comparison than an us/them contrast: We can perceive the French and Italian methods of preparing uncooked vegetables as points along a scale of cultural mediation, different in degree rather than kind; we can explain that the American soldiers had a wider conceptualization of the rotten than the French fromagers. Of course, mapping foodways with this tool is just the tip of the triangle for Lévi-Strauss. 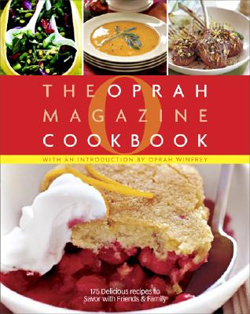 Because the categories of “raw,” “rotten,” and “cooked” are culturally constructed, thinking about food in this way leads us into the realm of metaphors and ideas: The oppositions between points on the culinary triangle frequently point to other clusters of oppositional concepts in a particular society’s beliefs and practices. “Cooking is a language,” writes Lévi-Strauss, “through which society unconsciously reveals its structure.” Cultural values and fears might manifest through actual cooking and eating practices, as when we bake our most elaborate pastries for milestones such as birthdays or weddings, or when we refuse to eat food that has fallen on the floor because it has strayed into the zone of the rotten. At times, the allusions of the culinary triangle are mapped out in language itself, as when the life cycle of food is invoked to describe the life cycle of human beings, who might be said to be “green” or “raw” if they are not yet fully inculcated into the manners of civilization, or “crunchy” if they deliberately refuse certain trappings of society in favor of those closer to nature. For the community of Clark’s study, it’s as though the culinary triangle is flipped upside-down: mainstream culture and cooking at the bottom of the pyramid, and that which mainstream culture considers rotten or raw at the top. Alternative foodways embrace literal raw foods as well as whole and unrefined foods, bulk and minimally packaged foods — any edible substance that hasn’t been over-processed, wrapped in non-biodegradable materials, and marketed as good to eat. Of course, this angle will sound more familiar — an example of the way counterculture politics and practices eventually trickle into the mainstream. Broadly, our national definition of “cooked” is shifting as we learn to value raw ingredients over processed food, chunky over smooth, honey over sugar. Wild or young plants — dandelion greens, ramps, green garlic — are now prized for the very qualities that may once have disqualified them from the category of food. We are trying to learn the lexicon of whole, fresh, organic so that there are fewer steps between natural food and ourselves. This slight tip to the triangle — valuing raw-er foods with less human intervention — seems like a reasonable reaction to a culture in which so much food is cooked and packed in factories. But because words, associations, and oppositions construct these categories of food, it’s easy for food marketers to misleadingly align an image of their product with our expectations of rawness, naturalness, or healthiness. Hence, “health halo”: Yogurt, for example, is almost universally accepted to be a more natural, wholesome alternative to ice cream — even though some yogurts are just as loaded with processed, denaturalized sugars. Juicing tends to push our buttons for “pure” food although the processing strips out many of the vital plant nutrients. Even the much-debunked Paleo diet depends on an opposition between the raw and the cooked — obviously dieters are not meant to eat raw proteins, but the appeal of the system lies the imagined foodscape of a simpler, more “natural” time.